The Los Angeles Boat Show is the ultimate destination for boating and outdoor lifestyle enthusiasts, featuring sport fishing boats, performance boats, ski boats, cruisers, jet skis, pontoons, motorboats, cabin cruisers, dinghys/inflatables, kayaks, stand-up paddleboards and more! Free Hourly Drawing is Back! 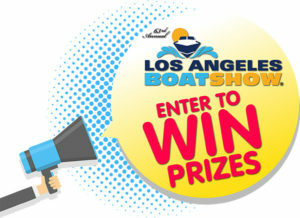 Back once again is the Los Angeles Boat Show free hourly drawing! Everyone that attends the show and purchases admission will be given one special drawing ticket. At the beginning of every hour, we will draw a ticket and post it in the hourly drawing booth in Building 7. If your ticket matches the number drawn then you’re a winner! Winners may choose any prize on display in the hourly drawing booth and prizes include outdoor equipment, boating accessories, fishing items, coolers, gift certificates and much more! Your ticket is good all day or until you win so stop by the hourly drawing booth to see if your ticket is a winner! 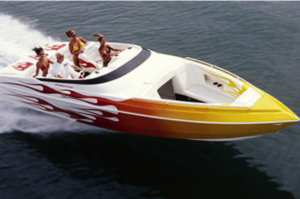 The Southland’s leading high performance powerboat manufacturers will be exhibiting their latest models at this year’s show. Check out these sleek beauties and their flashy paint jobs, plush interiors and powerful engines.